I don't know if it was Mister Rogers taking a tour of a toothpaste factory or the opening credits of Willy Wonka that started it for me. But, man oh man, do I love a good how-it's-made video! 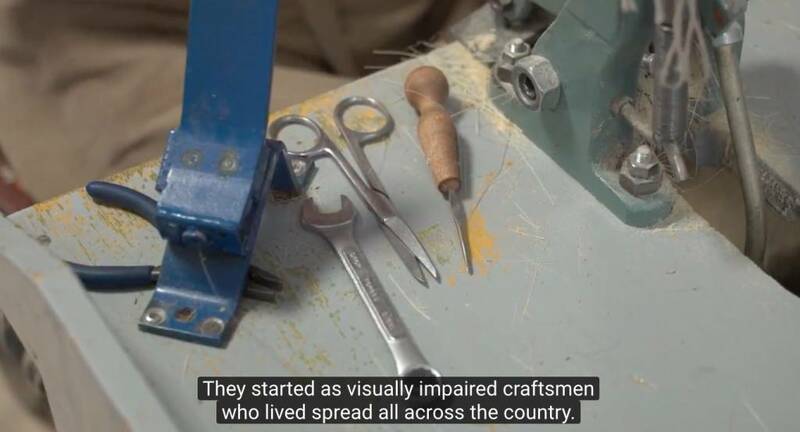 One of our very favorite brushmakers, Iris Hantverk, shared this sweet look into one of their workshops where visually impaired craftsmen build these beautiful brushes. I don't know if I'm happier to see those round glass brushes getting a haircut or that dog snoozing in their workshop.